Dr. Richard E. Buckley and Dr. Marina Buckley of MilfordMD Cosmetic Dermatology Surgery & Laser Center in Milford, PA announce that a new technology for treating acne, improving skin texture and reducing spots and lesions caused by sun exposure is now available at their office. This treatment, called Photodynamic Therapy (PDT), is used to smooth fine lines and wrinkles, reduce pore size and acne scars to give skin a smoother texture, treat Rosacea and pre-cancerous lesions and diminish the oil glands that contribute to acne. “Photodynamic Therapy uses a light-activated solution called Levulan, which contains a substance that occurs naturally in your body (ALS), to target lesions and subsequently destroy them. This same solution, when used in conjunction with a specific type of light source, focuses on the sebaceous glands and bacteria which cause acne” says Dr. Richard E. Buckley. The treatments usually last approximately an hour and you can return to your normal activities immediately following, but should avoid direct sunlight for a day or two afterwards as the solution remains active for a period of time. 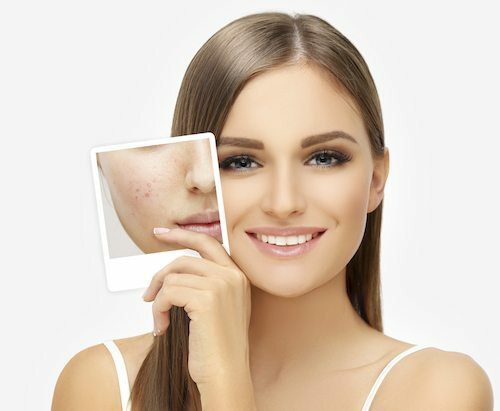 If you are struggling with acne, Rosacea or the effects of aging and sun exposure on your skin, Photodynamic Therapy could be the answer for you. For information, please call 570-296-4000.